During this workshop I will be sharing a lot of the new learning now available in Aromatherapy. If you have been qualified for some time and want to be inspired again or if you want to update your knowledge then this workshop is for you. 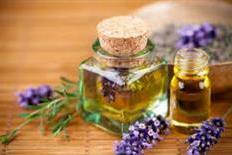 Essential oils and best methods of use for anxiety, depression and stress. Who can attend this course ? This course is for all qualified Aromtherapists. It will inspire you to use your oils and carriers differently. If you qualified some years ago it is an excellent workshop to enhance your skills and update you on what is "NEW" in the profession.